Christ the King Child Development Center is a learning community. It’s more than little kids; it’s families and little kids. The purpose of Emmanuel Lutheran School is to provide a high quality, Christ-centered education. Our educational practices are based on the belief that each child is capable of doing three things: learning, leading by example and serving. Emmanuel Lutheran School is licensed by the Hawaii Council of Private Schools. Teacher/Student Ratio: Meet or exceeds all State of Hawaii Dept. of Human Services ratios for all age groups. Tuition: please visit our website for full tuition information. AM/PM Care: 7:00am. – 5:00pm. Voted # 1 Childcare Provider for 12 years by the readers of the Hawaii Star Advertiser. 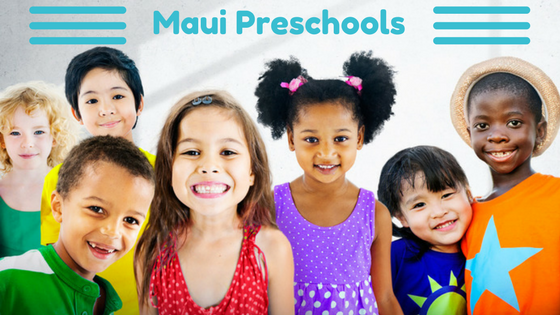 Safe, nurturing environments with a variety of locations on Maui and Oahu. Imua Inclusion Preschool is a relationship-based, play-based program where children who are typically developing and children with special needs learn together. Our curriculum emphasizes collaboration among children and adults. Our daily program is infused with a sense of place, honoring diverse cultures and values while celebrating life. We’ve been loving children for over 70 years! Children are a gift from God and deserve our very best. We are a faith-based preschool with a literacy-based curriculum. Pre-K class is offered to late-born children and older four-year-olds. Kahului Hongwanji Preschool has been in operation for 42 years. Class size is small, with 10 children per class. All teachers have 10-30 years of teaching experience. KUC Preschool’s curriculum is God-centered and fosters Christian beliefs while integrating art, music, physical and language development, math, science, social studies, and life skills into the daily program. We are co-located with the Maui Adult Day Care Oceanview Program in the Nisei Veterans Memorial Center and have an intergenerational activities component in our curriculum relating to life skills. The Pūnana Leo initiates, provides for and nurtures various Hawaiian language environments, and we find our strength in our spirituality, and love of our language, our people, our land, and of knowledge. Kamehameha Schools strives to nurture the values of aloha, mālama, and kuleana while continuing to provide a learning environment that is safe, educational, culturally-grounded, enjoyable and enriching. Iao Preschool is committed to developing the whole child. Emotional, social, cognitive, physical and spiritual growth are parts of the wholeness we seek. St. Anthony Preschool provides a Catholic education enabling students to develop positive attitudes and habits for growing, living, and learning. We share a campus with the St. Anthony grade school, middle school, and high school. Your keiki will use all 5 senses in activities which encourage them to discover, explore, share and learn. We enjoy circle time activities with reading, singing, and dancing. We provide what your child needs to be successful in their next level of education. Head Start provides Early Childhood development services to families that meet the federal poverty guidelines and selection criteria. Children who will be 3 or 4 yrs. old by July 31, 2019 are eligible for enrollment. Beginning February 4, 2019, the Head Start Program will be accepting applications for the2019/20 school year. Parent / legal guardian to complete an application at the MEO Early Childhood Services office, between 7:30am – 3:30pm, Monday – Friday. For more information, please contact the MEO Early Childhood Services department at 249-2988. We provide a positive, nurturing, challenging, and developmentally appropriate learning environment for each student to develop into a caring, self-fulfilled and compassionate person. Breakfast, lunch, and snack included. Wailuku Union Preschool provides a Christian learning environment that minister to the needs of the whole child. This includes a loving, positive, supportive, safe and healthy environment that encourages the growth of your child in all areas of development. Children’s Garden is a quality non-profit preschool/daycare that emphasizes academics and social and communication skills and offers language, creative movement, and reading programs. We nurture children with love, care, guidance, patience, and understanding. Potty Training: Yes for Preschool. No for Toddler Center. We are a church-based preschool actively teaching the Bible and sharing God’s love. We provide a nurturing Christian environment and a staff that love working with keiki and guiding them through the learning process. Young children love to learn, that’s why we use the ABEKA program. Our 2– 5-year-olds become students naturally as they are exposed to phonics, numbers, art, poetry and the Bible. Little Monk Seal offers authentic Montessori education in a beautiful school. We have a unique monk seal first responder stewardship program and expert teachers. LMSM is a small school with a big heart. The educational nature of MHOK is designed with the focus on student learning, not on teachers teaching. The key philosophy is reflected in the phrase, “follow the child.” This phrase sums up our instructional/learning environment where the child is presented with activity choices and progresses at his/her own rate of cognitive/neurological and emotional development. Montessori teaching methodology is based on observation, peer learning, tactile learning materials, and intrinsic motivation, and provides a collaborative learning environment, stimulates critical thinking skills, and cultivates inquisitive minds and decision-making. Potty Training Required for Aloha Kai Academy Makawao, not required for Aloha Kai Academy Paia. We incorporate necessary aspects of your child’s development during these formative years. Through our school atmosphere, outstanding staff and well-planned curriculum we prepare your child for Kindergarten and a lifelong love of learning! Ages: 2 years, 9 months through 5 yrs. 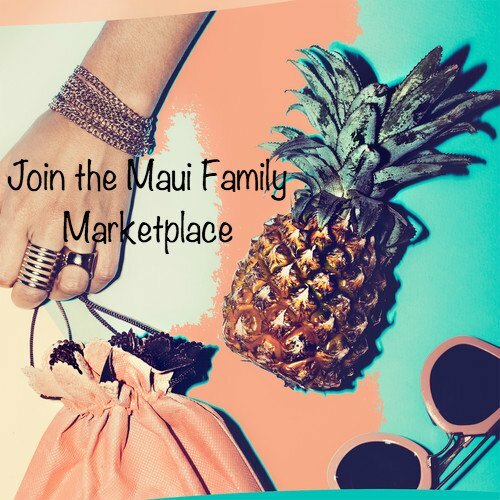 Serving upcountry Maui families for more than 32 years. Waipuna Chapel Preschool staff have 40 years combined teaching experience. They have created a place for children to learn about God’s love, be loved, and love to learn. Fun, 2, 3 Preschool is a small play-based program in a rural setting. Fun, 2, 3 Preschool builds a strong foundation for learning through curiosity, exploration, social skills and community building. Haleakala Waldorf School provides a developmentally based curriculum. Academics are taught through artistic and creative experience. Students learn to love learning, to express their innate creativity in thinking as well as in doing, to live with reverence for life, to serve as self-directed, engaged members of the greater community and are prepared to thrive in the global 21st century. Carden Academy of Maui is committed to educating the whole child through a balance of academic excellence. character development, and enrichment through the arts in a nurturing, small classroom setting. A joyful environment aimed at nurturing the young child through gentle guidance and direction, folk literature, singing, circle time, imaginative play, food prep, gardening, puppet shows, and more. Educating Children and Families Through the Inspiration of Waldorf Education. 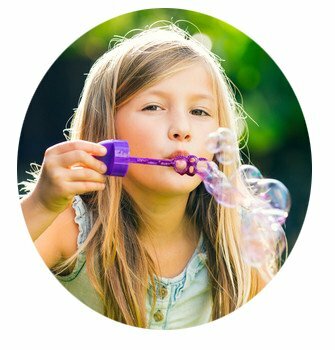 At the Makawao Drop in Center each day is different with a fun curriculum designed to foster learning through play. In the sparkling clean, brand new classroom, kids get to do art projects based on curriculum themes, storytime, free play with a broad range of fun toys, and music. Classes are 2.5 hours 2 days/week. We are sponsored by Makawao Hongwanji Mission as an outreach to the needs of the community. We are located in a quiet neighborhood of Pukalani. AM/PM Care: 7:30am. – 5:00pm. Our mission is to provide a Christ-centered education that is biblically based and is committed to academic excellence, biblical morality, integrity, church involvement, and patriotism – all to the glory of God. AM/PM Care: 7:00am. – 5:30pm. Roots School Mission: Through experiential and academic learning, we encourage students to integrate creativity, critical thinking, integrity and compassion to engage collaboratively and realize their potential as unique, fulfilled individuals. We offer a play-based curriculum. We work with each child at their own level and build on their experiences. Our yard is huge and a wonderful place to explore many outside options. Holy Innocents Preschool has a long-held reputation for quality early childhood education. Daily classes are held year-round behind Holy Innocents Episcopal Church in its Parish Hall and courtyard, complete with tree house. Maui Prep is celebrating its 14 years as an independent, secular, day and boarding college preparatory school in Napili. 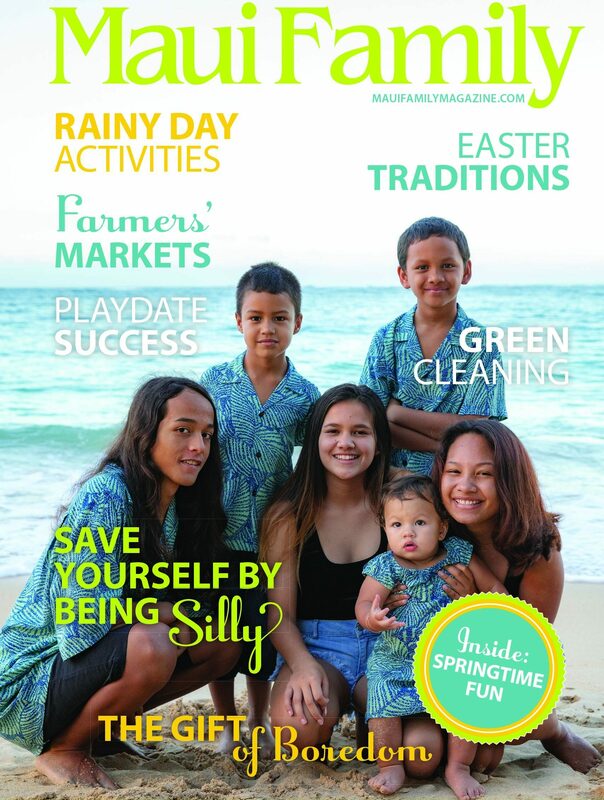 Character Education is central to the school’s mission, as it focuses on “10 Commitments to Living Aloha,” Community Service, and an emphasis on personal growth over standardized achievement. The Boarding Program is entering its 5th year. Celebrating 156 years of education on the west side. Sacred Hearts School is proud to carry on the legacy of excellence that is evident in the quality of students graduating from our middle school. We develop Kids with character! We believe that each child is made in the image of the infinitely loving and creative God. To this end, we are here to help the children develop their full physical, emotional, social, intellectual, and spiritual potentials. Tutu and Me aims to meet the developmental needs of young children and to support the grandparents and caregivers. Teaching teams, comprised of early childhood educators, travel to pre-selected communities where they set up, conduct, and facilitate the program.